“Battersea Power Station is attracting high-end professionals working in finance, tech, government, legal and the engineering sectors. These are renters who want to be able to show off where the live, in a development that keeps up with their lifestyle” says Marc von Grundherr, Director of Lettings. “With the Northern Line Tube extension well under way here, working professionals are attracted to the advantages of fast transport links, riverside setting and top class amenities already offered here”. “One bedroom apartments are in such high demand that they are often snapped up by the time of the third viewing. What’s more, rents are up from the beginning of this year with a one bedroom flat that was let for £470 per week last January now fetching £550 per week”. Indeed, there is plenty to get excited about as this buoyant trend has held steady even in the case of larger apartments. “A good number of people who are looking at two bedroom apartments already live in the development” comments von Grundherr. 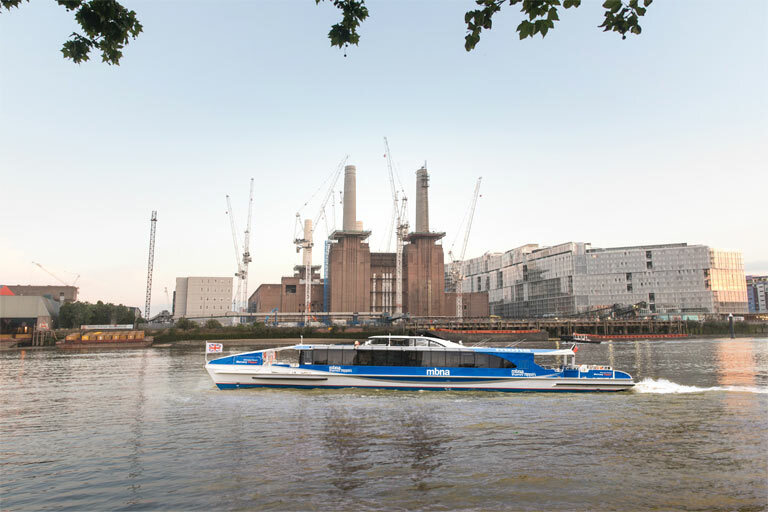 “They have bought into the idea of Battersea Power Station as a well-designed community hub that has a bright future and is a viable alternative to Chelsea or Fulham. They want to be part of that future and are prepared to put down roots”. This surge in demand has seen an 18% increase in orders for furnishing packages says the agent. “Properties that we have furnished on behalf of landlords have been letting immediately, if a property has the ‘wow’ factor, its appeal will instantly stand out from others” von Grundherr continues. Projected trends for 2019 see the two and three bedroom market levelling off at £675 – 800 per week and £1,200 per week respectively but rentals of one bedroom apartments are set to continue to rise with a high of £600pw predicted. “Changing people’s minds about living south of the River means that a development must be doing something right and with its blend of smart restaurants, artisan shops and dog-friendly living spaces Battersea Power Station is definitely striking a chord with affluent young professionals and techpreneurs who want to be part of this iconic building’s success”. If you are a landlord with a property to let at Battersea Power Station and would like to instruct us, please contact our Nine Elms branch for a free, no obligation estimate of what rental we can achieve for you.